The reason a lot of people struggle when trying to lose weight is because they choose low calorie foods instead of reaching for a more filling food. Do I have your attention? Did you think low calorie foods are the secret to losing weight?! Yeah, well the problem with a lot of low calorie foods is that they don’t keep you feeling full for long. If you’re hungry within an hour of eating, it’s going to be hard to concentrate on anything other than food until your next meal. And if you haven’t planned a healthy snack in between meals, you’re more likely to veer into the drive-thru or pop by the vending machine for a less-than-nourishing snack. The key to eating for weight loss is to choose the most filling foods, to keep you feeling full for several hours. So let’s look at nine examples of these foods (in no particular order). Greek yogurt is such a filling food because of its protein content. Protein is the top nutrient to choose for satiety. It slows down the emptying of your stomach and suppresses your appetite. The determining feature between regular and Greek yogurt is the protein content. But, there’s no legal minimum protein requirement in order to call a yogurt ‘Greek.’ Manufacturers can put the title on any yogurt. Look for a Greek yogurt that contains a minimum of 8-10g of protein (per 100g serving). One of my favourite ways to eat Greek yogurt is in a smoothie. Try this filling Chocolate Peanut Butter Smoothie! Soup is not only easy to make in huge quantities, it’s also one of the most filling foods out there. Eating soup is almost magical for suppressing your appetite. I say magical because researchers have found something about soup that’s hard to explain: if you take the same amount of water and food ingredients that are found in a soup, and eat them separately, you won’t feel as full as if you had just eaten the soup. Another benefit of soup can be attributed to a phenomenon called volumetric eating. The idea is simple: people tend to eat the same volume of food each day. If you add water into your food, you dilute it and eat less! If weight loss is your goal, choosing a broth-based soup will have a larger impact than a heavy, cream-based soup. 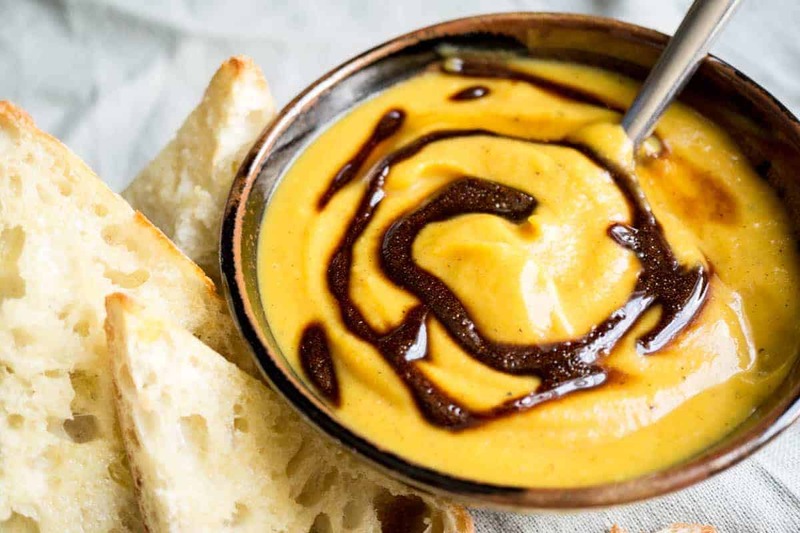 Try this African Peanut Soup for a quick, filling meal! Chia seeds are my secret weapon, because you can add them to many types of foods, and convert any old recipe into an incredibly filling recipe! The power of chia seeds is that they’re able to bind 9x their weight in water. This may not sound that impressive, but while they’re in your digestive system, the water helps the seeds form a gel with other foods you’ve eaten. Your body first has to break down this gel matrix before it can digest and absorb any food. The end result is a slow, sustained digestion. You feel fuller for longer and your blood sugar doesn’t spike as high. As an added bonus, chia seeds are also a source of omega 3 fatty acids and calcium. Try adding chia seeds to this homemade Maple Super Seed Muesli recipe. Nuts contain the perfect trifecta of nutrients to keep you feeling full: protein, fibre, and fat. Lots of filling foods will have one or two of these, but with this epic combination, you’ll only need a small handful of nuts to fill up fast. They’re a concentrated source of nutrients and calories so you want to be careful not to overdo them. Studies show that people who eat nuts on a daily basis have lower rates of heart disease! Instead of a handful of nuts, try incorporating a couple tablespoons of nut butter as a spread on toast, mixed into oatmeal, or stirred into yogurt! 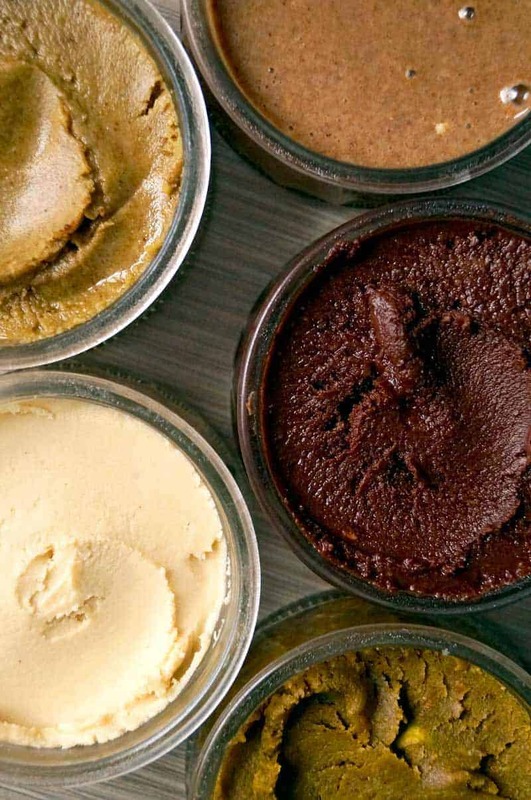 Check out these five amazing nut butter recipes. Pulses are foods like chickpeas, lentils, and kidney beans. They’re the dried seeds of legumes: plants whose fruit are contained in a pod. Pulses are a very filling food because they’re a good source of protein and are very high in fibre. 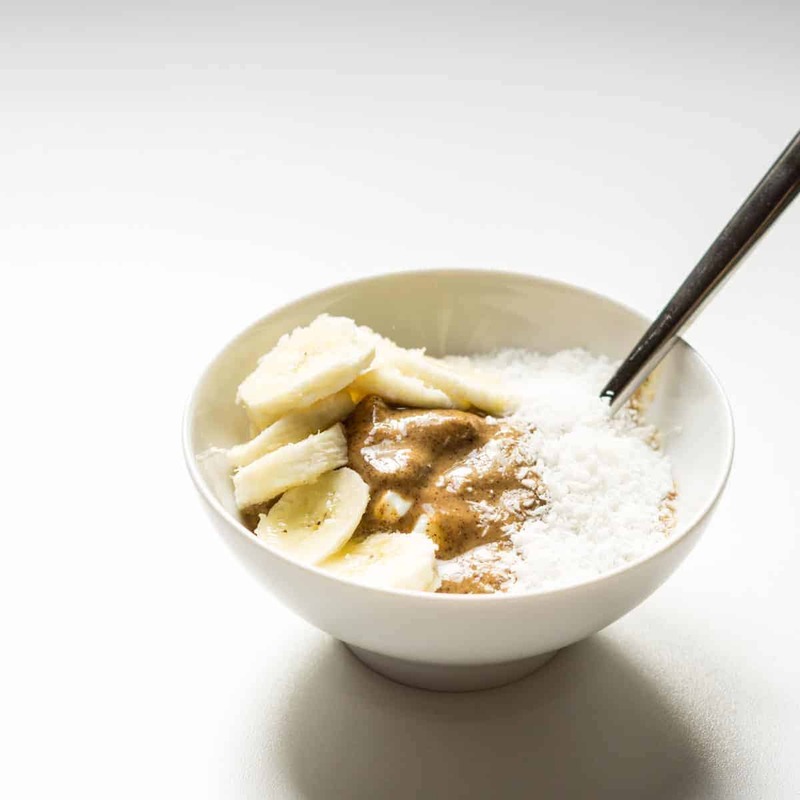 A 1/2 cup serving has between 7 and 17g of fibre! Consider the fact that most North Americans get less than 15g of fibre per day. Pulses contain soluble fibre, which act like a sponge in the body. The fibres swell and absorb water, slowing down the rate of digestion. For quick and easy pulse recipes, I’ve got a list of 18 for you! 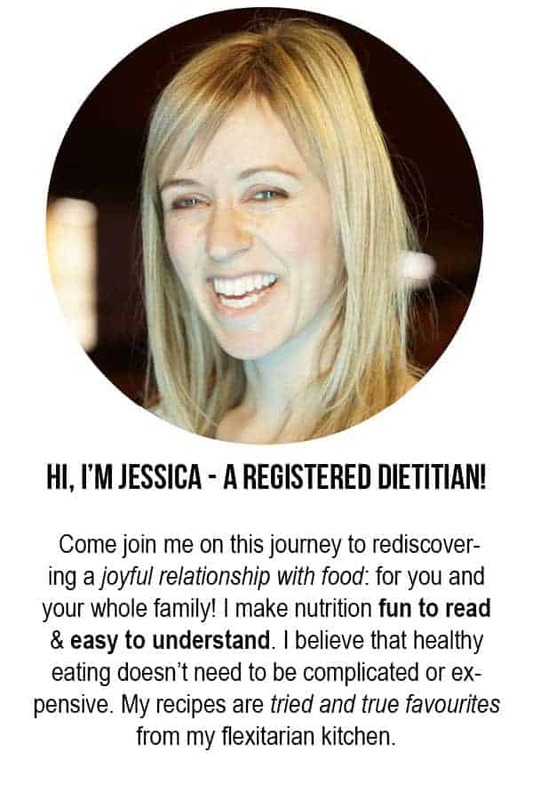 Another factor in rating foods for fullness is how they affect hormones. 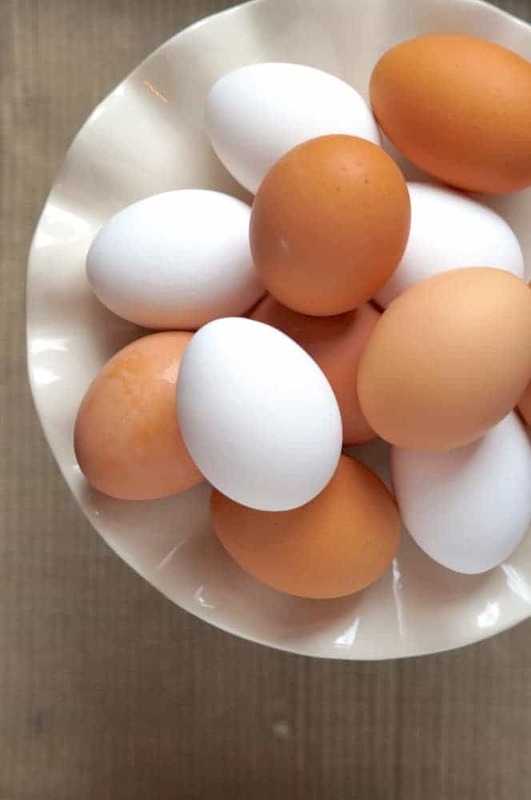 Eggs have been shown to suppress the release of a hormone that stimulates hunger while increasing the release of a hormone that signals satiety. In one study, people who ate eggs at breakfast ate fewer calories at lunch than people who had a bagel for breakfast. So when you’re looking for a filling breakfast food, look no further than eggs. I’ve discovered the secret to making the BEST scrambled eggs! There are a couple of things that make oatmeal such a filling food. First of all, it’s a great source of soluble fibre, which binds water in the digestive tract and slows down digestion. Secondly, it’s cooked in water. When water is combined with food, it adds a lot of volume without any calories! You end up feeling fuller when eating less food. 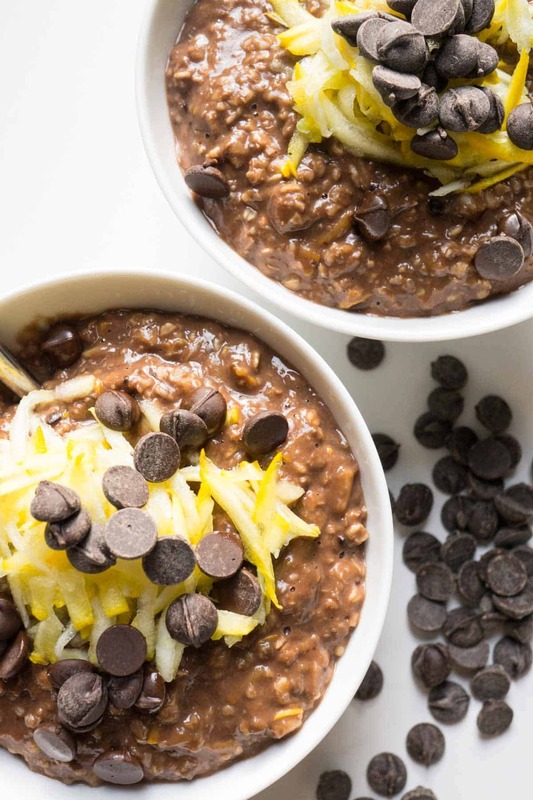 For something different, try this Double Chocolate Zucchini Oatmeal recipe! In a test of 38 different foods ranging from fruit to fish to cereal, boiled potatoes came out as the topmost filling food. Boiled potatoes were over three times more filling than white bread, and seven times more filling than croissants! This study didn’t examine sweet potatoes, so it’s uncertain how they would rank. But sweet potatoes are lower on the Glycemic Index, meaning the starch gets broken down into sugar and absorbed into the bloodstream at a lower rate than white potatoes. So I’d wager that boiled sweet potatoes would be even MORE filling! Here’s my favourite mashed potato recipe. Fruit is largely water and fibre. These two nutrients add volume without adding calories. 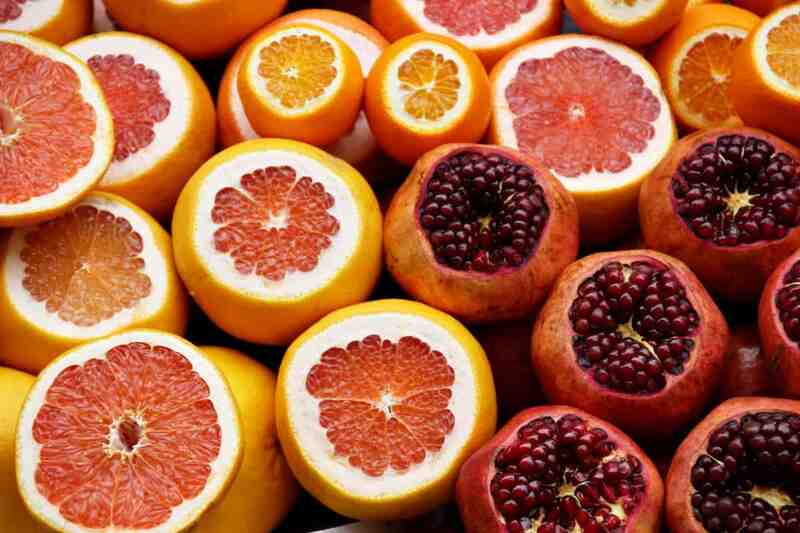 Grapefruit has a very low glycemic index at 25. The glycemic index is a rating for how a food affects blood sugar levels. The lower the number, the less it affects blood sugar. As a comparison, pure glucose sugar has a rating of 100. Tired of eating straight grapefruit? This this filling high protein grapefruit juice! Don’t forget that when you’re eating for weight loss, you have to keep yourself satisfied. You have to enjoy your eating plan, or you won’t stick to it! 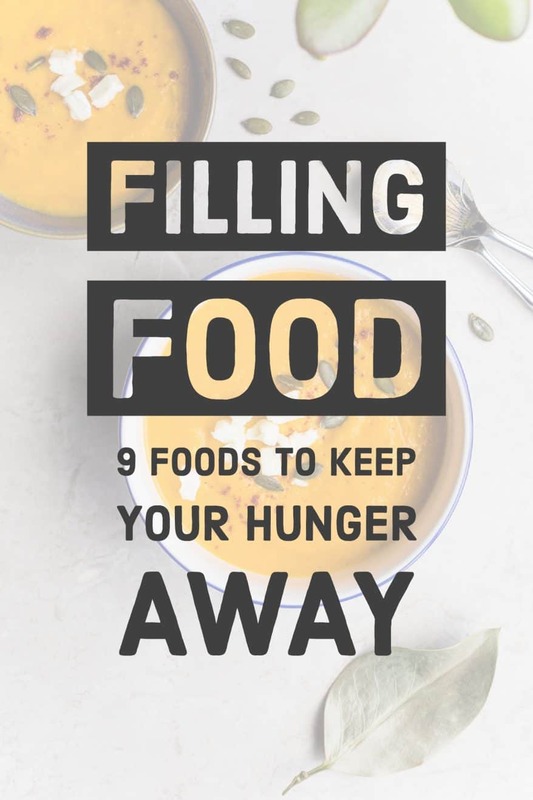 Finding ways to work these filling foods into most of your meals will ensure that you’re not suffering with hunger pangs as you go through your day!